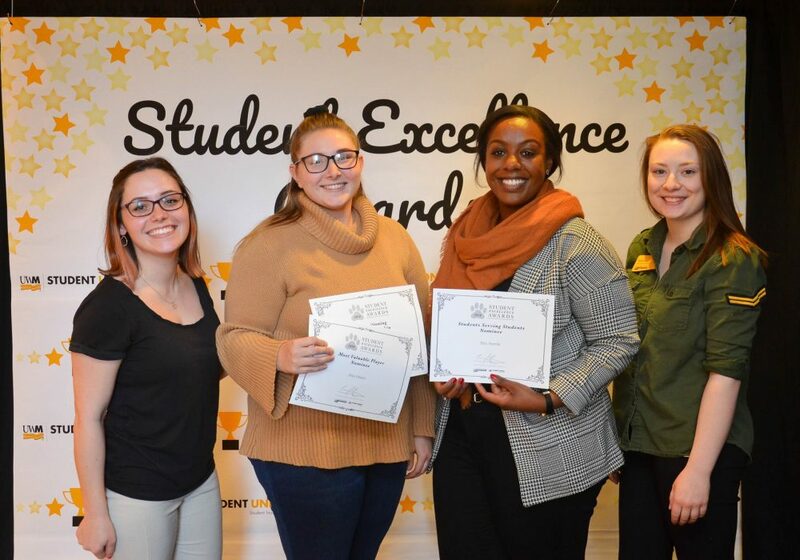 The 2019 Student Excellence Awards will be held on Tuesday, April 23 from 3:30-5:00 PM in the Union Ballroom. The award categories and descriptions are listed below. Anything from March 2018-March 2019 is eligible for nomination. If you have any questions, please direct them to leadership-program@uwm.edu. Please join us in recognizing leadership accomplishments at UWM by both nominating and attending the event! Nominations may be submitted by Faculty, Staff, Students, and/or Student Organizations. All nominations are due on Friday, March 15 at 5:00 PM. 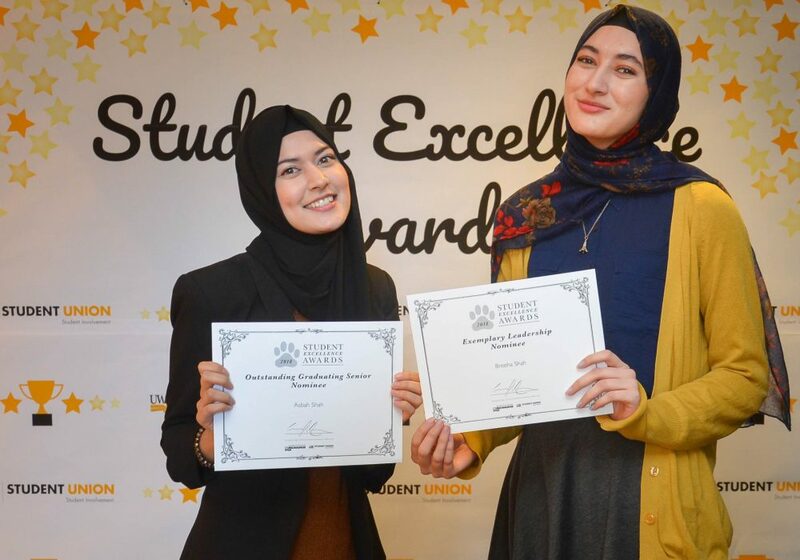 RSVP for the Student Excellence Awards Here! This award is presented to an organization’s advisor (faculty/staff) who has gone beyond the call of duty to support and advise their organization(s). This award is presented to a member of a registered student organization that has taken on a leadership role within the group. This individual will have gone out of their way and beyond their positional duties to support the success of the organization and its members. This award is presented to a student who has been selected by their peers to assume a leadership position. Recipients will have exhibited growth and development as leaders and been involved in campus and or community organizations. This award is presented to a student whose work and/or service has led to positive, measurable change for our campus and/or community. Their work may include actively contributing to a cause that improves the lives of others. This award is presented to an individual who exemplifies outstanding school spirit. The recipient of this award displays pride as a dedicated member of our community and has contributed to athletics, performances, cultural and arts activities, or academic competitions. This award is presented to a first-year student that has exhibited outstanding leadership skills within their respective organization or on campus. This student does not have to have a defined leadership position. This award is presented to a new transfer student that has exhibited outstanding leadership skills within their respective organization or on campus. This student does not have to have a defined leadership position. This award is presented to a student that is graduating in 2019, who has exhibited a strong commitment to UW-Milwaukee in multiple areas of campus life. 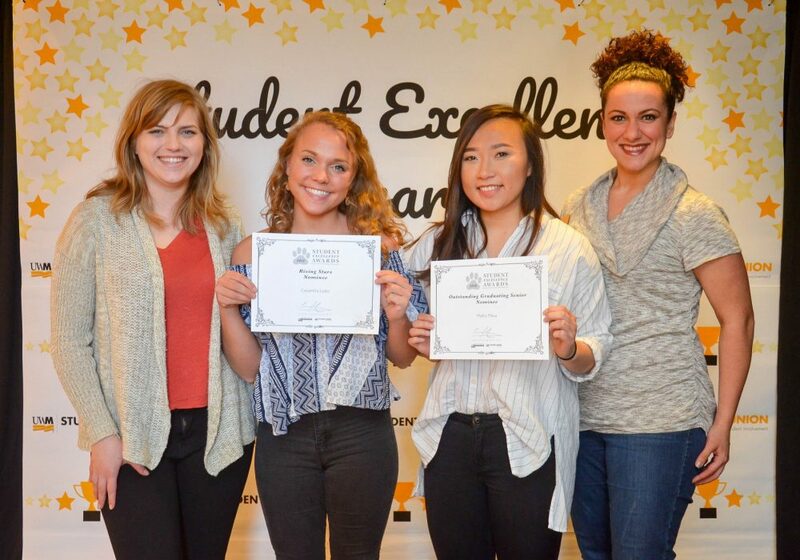 They are recognized for their academic excellence, leadership, contributions to their community, and exceptional achievements during their time at UW-Milwaukee. 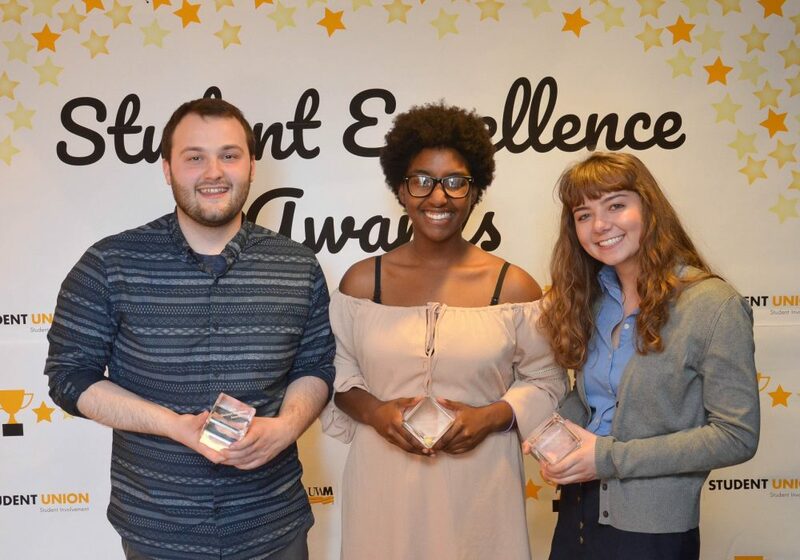 This award is presented to a student organization that has shown service in a variety of agencies or exemplary service to one organization, providing general service responsibility to Milwaukee and/or UWM. Service can be measured in hours served, dollars raised, or another metric, related to the impact from the organization. This award is presented to an organization that has created a positive, measurable impact on our campus and/or community. This impact is encouraged to embody the UWM’s values of innovation, collaboration, scholarship, respect, safety, diversity, integrity, inclusion, and pride in the institution. This award is presented to a student organization that has planned and implemented an outstanding educational event on campus. The event should be one that was planned for and primarily attended by UW-Milwaukee students. This program should have succeeded in educating those outside of the organization about an issue or cause. This award is presented to an organization that has gone through the process of becoming a Registered Student Organization within the past three semesters (Fall 2016-Present). The organization should have become significantly involved in the UW-Milwaukee community during their short time on campus. This includes sponsoring events/activities on their own, as well as participating in campus activities as a student organization. The organization should demonstrate the desire and potential to improve, grow, and achieve. 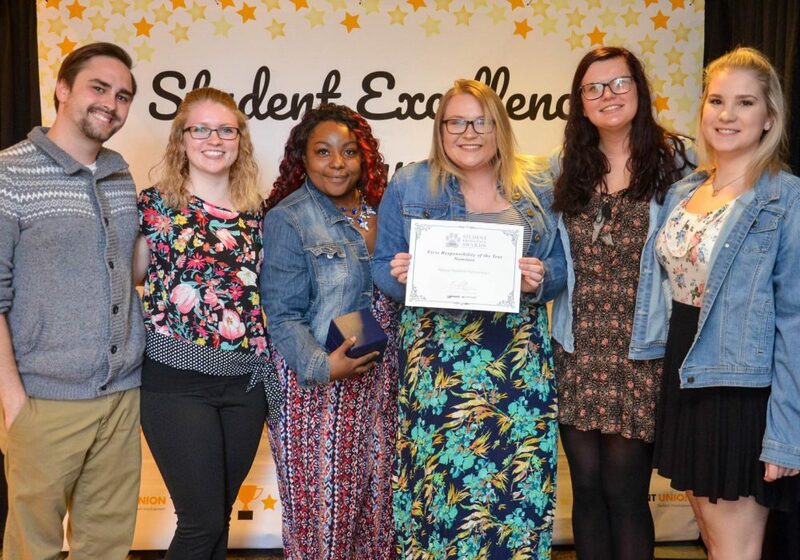 This award is presented to an organization which has exhibited a high commitment to improving campus life at UWM. The organization will have shown unity within membership, produced strong programming for the campus and excelled in leadership. 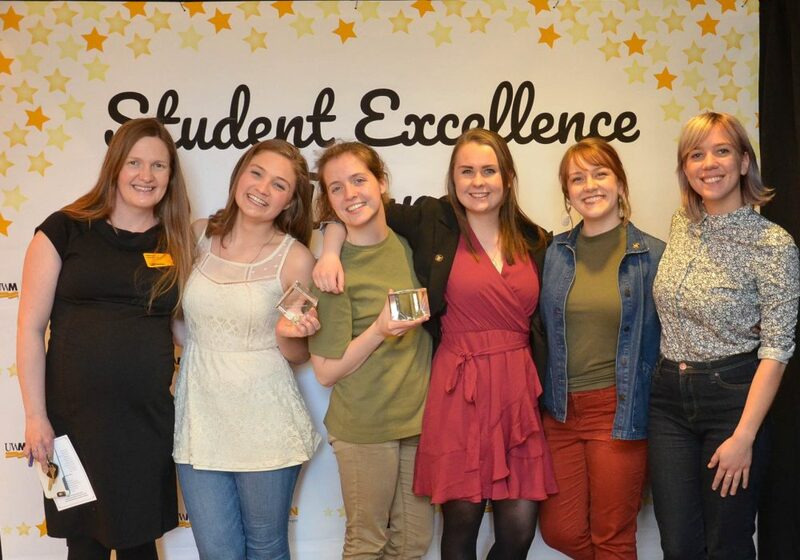 Students who could also be described as “everyday heroes”, such as those working “behind the scenes” to make UWM such a special place! They serve on the front lines, and help students each and every day with a commitment to excellent customer service and dedication to their professional purpose. Students showing consistent excellence in all areas of their responsibility and having a strong commitment to the university community. They take great pride in their academic and professional performance. 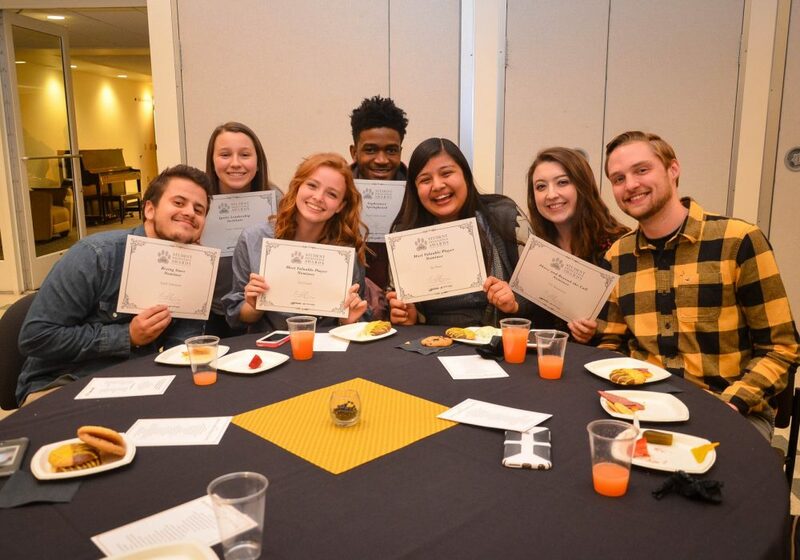 Students selected should have actively promoted the values of diversity and inclusion through their employment at UWM. They are encouraged to have helped increase diverse representation, developed new policies and practices, or modeled inclusive behaviors and practices for their coworkers. Students selected should be in their first or second year of employment at UWM. They are effective in their current positions and show great potential both as an employee and student leader. Student staff who create or implement effective or outstanding programs or initiatives for the benefit of other students. They are dedicated to the mission of UWM, and most importantly, to creatively improve the lives of UWM students.